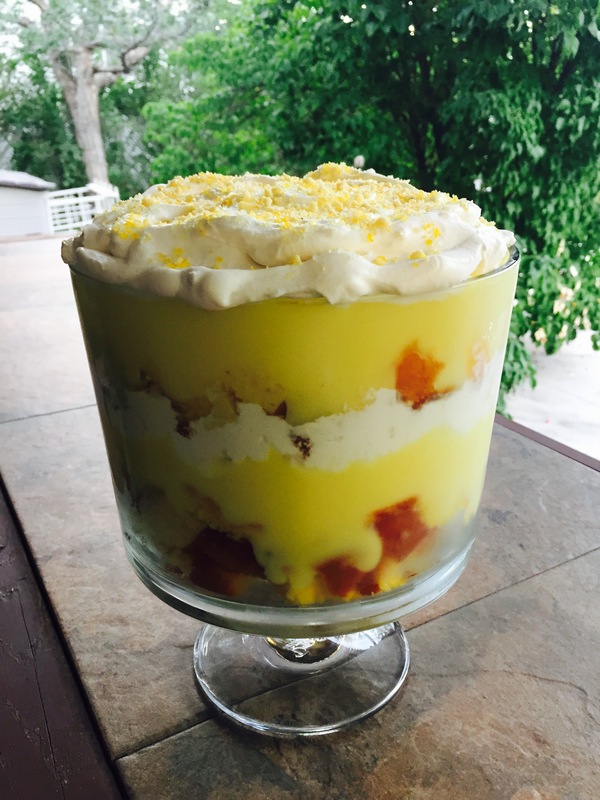 Here is the Lemon Trifle that I made for Bunco, it was so light and sweet and tasty, perfect for a summer outdoor party. 1 Cut up cake into bite sized pieces. 2 Prepare pudding mix according to package directions and let sit until just set. 3 Whip whipping cream, vanilla and powdered sugar until stiff peaks form. 4 Assemble trifle in trifle dish or bowl by making a bottom layer with half the cake then top with half the pudding and then half the whipped cream and repeat. I topped mine with Pampered Chef Lemon Sprinkles. Never tried to make a trifle but this looks so good, I’d willing eat it. Thanks! Trifles are so easy to make, you can’t go wrong and even better to eat. Hi penny, This recipe looks AMAZING! It looks both pretty and absolutely delicious! And what a simple idea! My only question is about the layering, because I have never made a Trifle before. When you said you cut the cake up into bite sized pieces and then arranged the first layer of the Trifle with half the cake, does that mean the bottom layer is uncut cake or is it made of a bunch of pieces or is it half of the cake, uncut? Also, does that mean you placed the rest (the other half) elsewhere in the Trifle? I’m so excited to try this, but I want to do my best to get the recipe and its textures right! Thank you for all the help and the fantastic idea! The bottom layer is half of the cut up cake pieces followed by a layer of half of the pudding and then a layer of half of the whipped cream and then you repeat so another layer of the remaining half of cut up cake pieces followed by a layer of the remaining half of the pudding and a layer of the remaining half of the whipped cream. Hope that makes it a little more clear, if not let me know! Thanks for stopping by my blog!